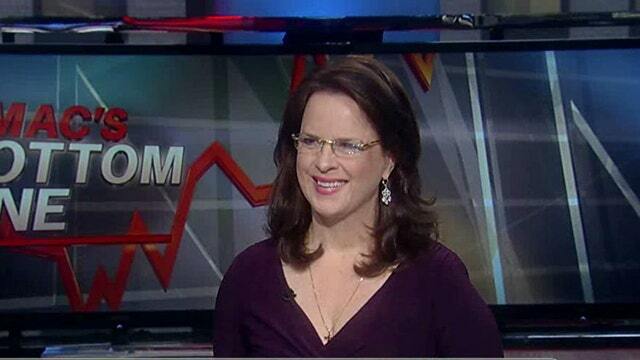 FBN’s Liz MacDonald on the outlook for the markets. Wall Street analysts are now saying the markets could set new highs by the middle of this year. U.S. equities have been racing higher, pushing some indices to within sight of their all time records, as corporate profits continue to beat expectations, existing and new home sales set a healthy pace, and as jobless claims seem to be stabilizing. Money is now pouring into stock mutual funds and exchange traded funds, a trend that picked up in speed last year. The Dow ended Friday at 13,895.98, its highest close since Oct. 31, 2007 when it reached 14,164. The S&P 500 also hit a five-year high last week at 1,502.96, the first time it closed above 1,500 in more than five years. More than 350 stocks hit new highs on Friday on the New York Stock Exchange, notes Thomson-Reuters. As the Dow and S&P hit five-year highs, the VIX, the fear index, is at its lowest levels in more than five years. The S&P 500 has more than doubled since March 9, 2009, increasing 121%. The index has risen for four straight weeks and eight straight trading sessions, the longest winning streak since 2004. Analysts are now saying the S&P 500 could hit 1565 before the middle of the year, matching the record high set on October 9, 2007. Even though some experts are saying that stocks are overpriced and that the overall market is vulnerable to a 20% drop this year, FOX Business senior editor Charles Brady notes “there&apos;s a compelling case that stocks could do quite well this year.” Stock market history shows there has only been five times since 1929 when the S&P 500 hit a five-year high in which the index did not then trade above its prior bull market highs (see bottom for the bullish case). Currently, the S&P 500 is about 4% off its 2007 peak. Wall Street analysts have said that history shows in this sort of scenario the average increase in the S&P 500 over the 12 months following the five-year high is 11.4%, so if the trend holds true the S&P 500 could be at 1630 a year from now. So what’s the bullish case? No collapse in Europe, China is still growing, though at lower levels. No double dip in the US economy. And fiscal cliff and debt ceiling fights are not having an impact. In fact, it’s almost as if the stock markets don’t care about the day-to-day news coming out of Washington, D.C., despite all the feverish handwringing and hyperventilated overreactions from pundits inside the Beltway about Armageddon. The debt-ceiling fight has been postponed again, until spring, so no irritating headlines about default — even though the Senate continues to fail to do the job taxpayers hired it to do, pass a budget, which it hasn’t done in nearly four years. The never budget balancing act is getting tedious. “No budget, no pay for Congress” ideas are slowly taking hold. “In times like these it helps to recall there have always been times like these,” radio host Paul Harvey has said. Juicing the markets, of course, are Federal Reserve officials, with their shovel-ready, money printing stimulus. The central bank is expected to keep its quantitative-easing policies in place, as officials are set to meet later this week. The U.S. central bank now has an explicit unemployment target rate of 6.5%, which means the Fed will keep in place its $85 billion bond-buying programs well in to 2015, in order to keep borrowing rates low and boost the economy, in a bid to also help lift the 10.4 million homeowners in negative equity, where their mortgages are worth more than their houses. Investors are coming off the sidelines, after reconsidering their cash pile. And what about corporate cash treasure chests, now at a record high of $1.73 trillion as of Sept. 30? That money could come in too. Being in cash isn’t always a bad thing. “Cash gives you time to think,” to paraphrase Elliot Wave Theorist Robert Prechter. What will keep stocks going vertical? 2) Room for higher multiples: The markets are still cheap, even with the recent run-up. The S&P 500 was selling at 16.4 times forward earnings in October, 2007, Brady notes. It hit 12.7 at the end of last year, and today that valuation is still cheap, at 14.2. So if the market is selling at a discount versus the previous high, stocks would appear to be cheaper, supporting the folks who think the bull will keep on charging, he says. “There is room for higher multiples, especially for the S&P 500,” economist Yardeni says. Keep in mind the history here. The valuation multiple had been on a secular bearish downward trend since the S&P 500 forward P/E peaked at 25.3 during March 2000, Yardeni points out. It bottomed at 10.4 during October 2008, and again dropped to 10.4 during the week of August 19, 2011, he says. Those valuations were trending towards the same levels the market experienced “during the early 1980s when investors were traumatized by the 6-8 multiples they suffered through when Jimmy Carter occupied the White House in the late 1970s,” he says. 3) Market fund flows have reversed: Since March 2009, equity mutual funds had net outflows of $56.1 billion, while $1.3 trillion has poured into bond mutual funds, Yardeni notes, but now money is pouring back into the markets. All 10 S&P 500 industry sectors are higher in 2013, partly due to new money coming into equity funds, notes Thomson-Reuters. Investors in U.S.-based funds sunk $3.66 billion into equity mutual funds in the latest week, the third straight week of big gains for the funds, data from Thomson Reuters&apos; Lipper service showed. 4) Broad market leadership: Consumer discretionary and industrials are the tired horsemen of the markets. But now they’re being joined by financials, energy, health care, consumer staples, utilities and information technology. Funds that invest in energy shares posted a recent yearly gain of 6.6%, followed by industrials, up 6.3%, Thomson-Reuters reports. Telecom, a defensive play that underperforms in periods of growth, is the weakest sector, up 0.1% annualized. 5) Home prices melt-up: Boosting consumer confidence and spending, and a boost to bank profits, too. A rising housing market has helped auto sales, which averaged 15.1 million units during the fourth quarter of last year. Median existing single-family home prices rose 10.9% in December versus the year prior, posting the best performance since January 2006. “This is happening because the supply of existing homes available for sale dropped last month to the lowest since January 2001,” says Yardeni. Zillow’s fourth quarter Real Estate Market Reports show home values increased 2.5% from the third to fourth quarter of 2012 to $157,400. That marks four consecutive quarters of national home value appreciation. On an annual basis, the Zillow Home Value Index (ZHVI) rose 5.9% from December 2011 levels, a significantly higher level of annual appreciation than what would be considered “normal” in a historical context, Zillow says. Strong demand, low borrowing costs, and limited inventory helped lift prices in almost 70% of the country. Those 10.4 million homeowners in negative equity, though, are an overhang -- they’re stuck in the mortgages, so those homes have yet to pour onto the market, which will likely occur in a piecemeal fashion.